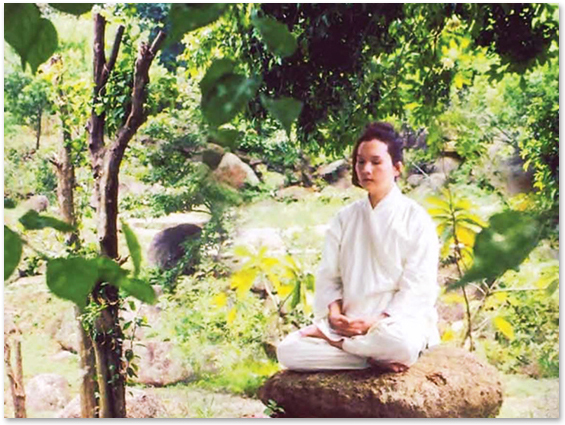 To Quan Yin practitioners, practicing meditation is as natural as eating or sleeping, and to Asians and many other non-Westerners, it is also a time-honored tradition associated with spiritual devotion and elevation. In the West, however, meditation has long been regarded as a somewhat exotic or even fad-related activity reserved for adherents of Eastern religions or New Age philosophies. But according to a report in the August 4, 2003 issue of Time magazine entitled “The Science of Meditation,” “Ten million American adults now say they practice some form of meditation regularly, twice as many as a decade ago.” This piece, comprised of several articles, focuses on various aspects of meditative practice. One article describes the history of meditation in Western culture, calling it a contemplative practice that disappeared for literally centuries but has recently been revived. Another, written by a journalist who describes his attempt to meditate, represents the voice of a skeptic but also someone who cannot help but note the apparent value of meditation. Yet another article describes research findings that provide confirmation of the physical and emotional benefits of meditative practice. While no consistent link between meditation and God is established in the report, the spiritual aspects of meditation are frequently mentioned. For example, in a discussion of the history of meditation in Western culture, one article acknowledges that “strikingly similar disciplines (to meditation) have been part of Western culture for centuries.” Also, nearly all of the research for the report was conducted with practitioners who meditate within a specific spiritual tradition, including Indian yogis, Japanese Zen practitioners, and meditating Buddhists and Sikhs. Inward concentration and focus are mentioned as key elements of a successful meditation practice. One article even provides basic steps in teaching oneself how to meditate, which include finding a quiet place to eliminate distractions and thus enhance concentration, closing the eyes so the brain can stop actively processing information from the senses, and repeating a soothing “sound,” in this case a meaningful word or phrase to help one focus. Overall, the report views meditation as having a highly positive influence on one’s health, happiness and sense of well-being. As Hollywood actress Heather Graham states, “It’s easy to spend a lot of time worrying and obsessing, but meditation puts me in a blissful place.” “The Science of Meditation” also provides an encouraging and upbeat picture of the direction of spirituality in America today by pointing out meditation’s benefits for body, mind and spirit.